As promised on our February newsletter, here’s the first for our new monthly series where we highlight GAFE enabled schools or districts. In this feature article, we learn about the challenges, best practices, and other cool things the Taylor's International School Kuala Lumpur have implemented which is also our host of the upcoming Malaysia Summit on May 14 and 15, 2016! The School first started in 1991 in association with the Badminton Association of Malaysia as a centre of excellence for national players, as well as being a private Malaysian curriculum school. It evolved into an outstanding institution that delivered superb examination results, as well as a holistic and balanced educational experience. The national curriculum of England was introduced in 2011 as the school started transforming into Sri Garden International. With the aim to become a fully international school with exceptional learning facilities, the School was continuously renovated. In 2014, Sri Garden International was rebranded as Taylor’s International School, Kuala Lumpur. The school has students from Reception through to Year 11 (IGCSE), with plans to expand by introducing Sixth Form in 2017, where students will study for A levels. Tell us about your students who are they? We have approximately 1700 students on one campus. We have a wonderful mix of cultures and nationalities, but mainly cater for a Malaysian market. Our school follows ‘RECIPE’ a set of core values that we aspire to - Respect, Excellence, Communication, Integrity, Passion and an Enjoyable Environment. I love walking through the corridors in our school and hearing the students greet each other and adults as we wander through. Our students are naturally inquisitive and friendly, so the odd ‘What are you doing in school today?’ asked of a stranger in school is not uncommon. Their willingness to engage with others is one of the endearing features of our students. In Malaysia, we are lucky to experience a variety of cultural identities, and this is reflected in our school environment. Whether it is Hari Raya, Chinese New Year or Deepavali, all cultures are represented and celebrated. 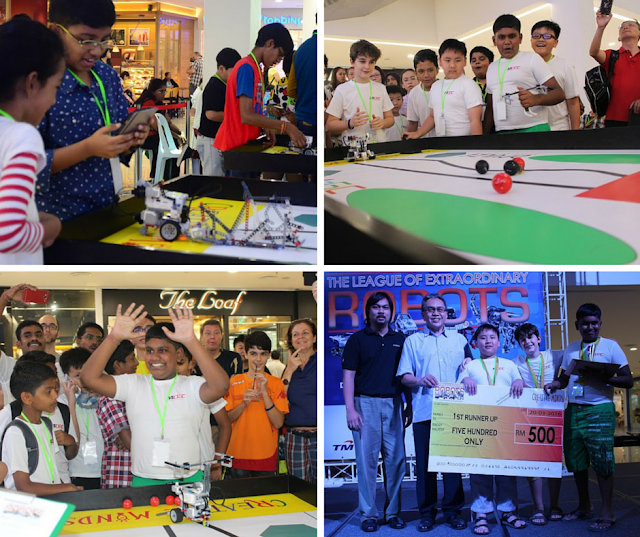 The schools' Robotics Club recently joined a tournament and won as a runner up. The school opened in 1991, and is fully licensed by the Malaysian Ministry of Education. From its days as a Malaysian Curriculum school it was registered with MQA to sit Malaysian school examinations. In 2011, the school was accredited by Cambridge International Examinations (CIE) to host IGCSE and A level examinations. The school is a full member of AIMS, the Association of International Malaysian schools. The school now follows the national curriculum for England, with public examinations at IGCSE at Year 11 , and soon A levels at the end of Year 13. We take great pride in the fact that a lot of our staff have been here a number of years. They have seen Sri Garden move from a national to an International School that is now Taylor’s International School. They have seen many curriculum changes, and teaching pedagogy come in and out of fashion. And they have endured and risen to the challenge. We are an ‘International Curriculum’ school which offers the best of both worlds. We offer a British International curriculum which is taught by locally-trained staff. A world-class education that considers the cultural aspects of the country we are teaching in. We also have a strong link to Taylor’s University, part of the Education family, and provide mentor opportunities for B.Ed students. We look forward to welcoming them into our school as graduate teachers in the next few years. About 2 years ago, the school issued laptops to all the teachers with the remit ‘go have a play’. This encouraged our staff to try something new without feeling pressured. In the last year, momentum has really taken off. As we have seen confidence in the staff grow, so has the increased use of technology in the classroom. 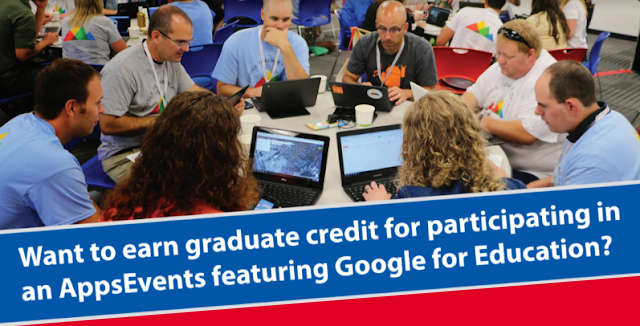 Teachers have embraced Google Apps, and you see evidence in this by their use in planning, meeting minutes, and collaborative discussions about teaching and learning. This year our ICT focus is ‘Moving forward together’ as we look to harness our teachers’ increased confidence in Google products and embrace its effectiveness in the classroom. In reality, our teachers have been doing this, but perhaps quietly - ‘just getting on with it’. We want this year to be a year where we celebrate and collaborate together. 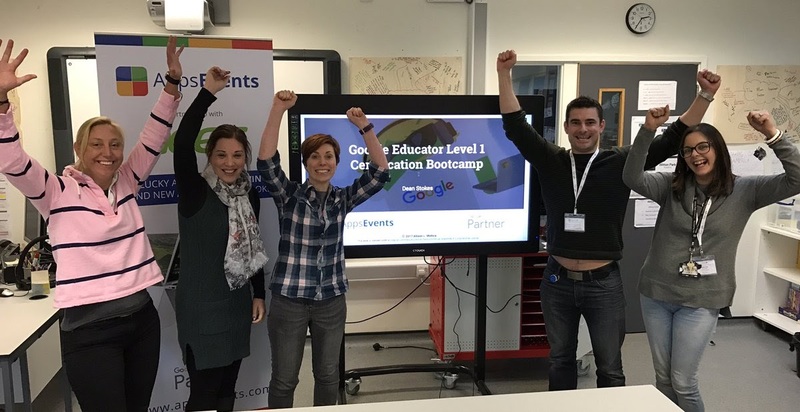 This time last year, I asked if anyone was interested in pursuing a Google Educator qualification - I had two responses. This week, I have 13 looking to qualify. I’m very proud of how far my colleagues have travelled in a short space of time. We have access to macbooks, iPads and Dell laptops for use in our classes. I am getting a lot of requests from teachers to trial other devices such as Chromebooks, Samsung tablets, even iPod touch! Such is the increasing confidence, staff are looking for the best devices to suit their teaching and the students’ learning experiences. How has your school adopted Google Classroom? Our Secondary school has adopted Classroom as a valuable tool. For our staff, anything that is implemented has to have purpose and add meaning. Classroom has shown its value to colleagues, and staff and students alike have used it in class to push relevant content, to start up learning conversations and to give constructive feedback to online endeavours. The students have found it extremely handy. They are now able to access school material outside of school hours, and work collaboratively with their peers. It has given them more responsibility to manage their time effectively, and choose when to access the material. The key word is collaboration. A teacher’s life is a busy one, and there are not enough hours in the day for those conversations that you need to have, or that meeting you should attend to gain key information. ‘Going Google’ has allowed us to use our ‘non-contact time’ (because there is no ‘free time’) more effectively. Our meeting minutes are in Google Docs, so that management and interested parties are aware of what is happening across school departments and year groups. Planning, Weekly summaries, lesson plans and resources are in folders in our Google Drive, so that access is available to all for viewing or editing purposes. Google Classroom allows us to share content with students, engage in online discussions and encourage students to share relevant content with their peers. It also provides a way to issue and receive online assignments, as well as giving ongoing and final feedback. We are looking ahead at Google Sites as a way to manage all this information, and make it more efficient in terms of storage and retrievability. Google+ is also been considering as a way of setting up online communities to share and debate ideas with people beyond our school walls. We are not a 1:1 school. The debate is happening now about how we move forward from having access to technology in a structured way (booking systems, availability, planning ahead for the need), and moving to having it available as and when it is needed. We have currently been trialling the use of Chromebooks in schools, and it has proved very successful. Do we head that way? 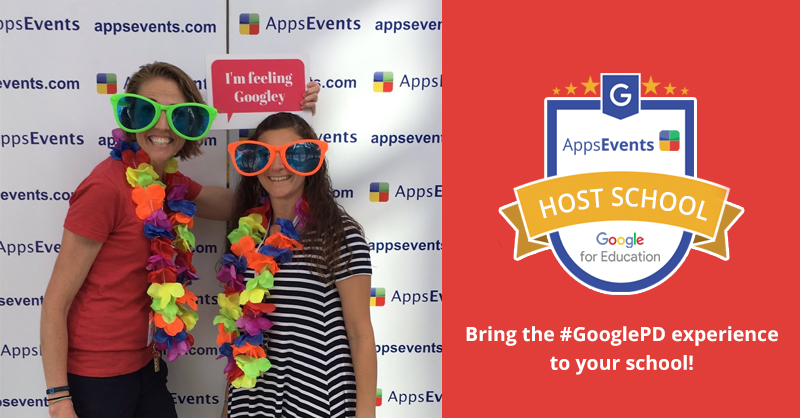 It is great value for money, it accesses all the GAFE products we are promoting as learning tools in the classroom. Do we stick with the model of Macbooks and iPads as we have currently? These are exciting times for our school. The next step for us is to have this debate with the wider school community - our parents and our students must have a voice in this as well. Watch this space for 2017. Each teacher is issued with a Macbook Pro or Macbook Air when they join. We offer induction sessions for those who need it, as well as ongoing support throughout the year. Our teachers have responded positively to embracing this technology, although initially they were concerned about such expensive kit being placed in their possession. Innovations are up and coming. Coding is on the way in response to KS4 students wishlist that they compiled for the new IT Integrator. It’s new ground that we’re breaking, so the world is our oyster. As the first IT Integrator for Taylor’s International School, KL my focus has been to listen to the students and see what they are asking about, and what is exciting them. Then I work from there. It does mean I’ve had to purchase a book to read this term break - ‘Minecraft for Dummies’. It’s a learning curve for teachers as well!